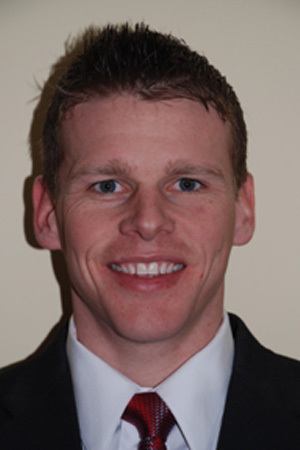 Prior to joining Performance Chiropractic, Dr. Bates had his practice in O'Fallon since 2007. In 2010 Dr. Bates become board certified as a Chiropractic Sports Physician, which made a natural fit to join Performance Chiropractic. Dr. Bates attended Logan College of Chiropractic located in Chesterfield, Missouri, where he graduated with his Doctor of Chiropractic degree in 2007. While attending Logan, he went above and beyond the basic requirements by participating in multiple advanced adjusting, soft-tissue, and rehabilitation seminars, such as those hosted by The Motion Palpation Institute (MPI), Active Release Technique (ART), Graston Technique, Clinical Nutrition, Stuart McGill, PhD., Warren Hammer, D.C., Clayton Skaggs, D.C., and various other seminars with topics including Golf Swing Analysis and Gait Analysis. In addition, he was appointed by his peers to teach palpation, analysis, and adjusting skills as president of the Motion Palpation Club on campus at Logan. This was both a privilege and a constant learning experience. Dr. Bates enjoys helping patients improve their health and performance. He strives to stay current with rehabilitative and chiropractic studies and applies that knowledge to guide the care provided to patients of Performance Chiropractic. His goals are to provide each patient with individualized care according to each unique patient's needs and to provide the patient with an exceptional health-care experience. Dr. Bates accomplishes this through a combination of safe chiropractic adjustments, various soft-tissue techniques and rehabilitation exercises. Dr. Bates is also very actively involved in the community and local professional organizations such as the Missouri State Chiropractic Association and the Chamber of Commerce. In his spare time, Dr. Bates enjoys spending time with his wife, Betsy, and their three children, Brady, Brooke and Cooper. Dr. Bates also enjoys running, playing golf, and taking in home team sporting events watching the St. Louis Cardinals and St. Louis Blues.